There are many cliché sales experiences in real estate; however, you certainly don’t get that with Moira. She is very personable and totally focused on achieving for her clients the best possible outcome. She is charismatic and treats every client as special and not merely another number on a data-base. Her list of referrals is testament to her success and her greatest reward is when clients recommend her to family or friends. Moira has extensive success in selling for clients who relish her accurate and honest feedback. Her knowledge and can-do sales attitude, throughout the Canberra region, is unsurpassed; Moira always strives to provide an optimum sales service to all her clients. Selling your home should be an experience that is both enjoyable and provides outstanding results; this is why Moira is a preferred and proven agent. 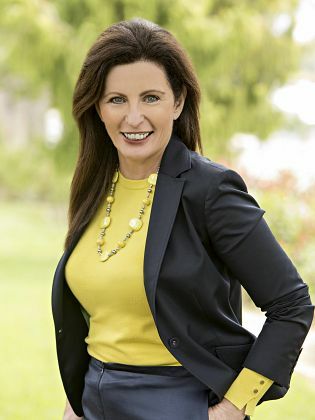 Over the past 10 years Moira has sold over 800 properties across the ACT. In 2016 alone, Moira sold 41 properties with a 98% List to Sell ratio. Moira was recently identified as one of the top 100 Sales Agents in the ACT region. Her experience and volume of sales certainly make Moira one of the most sought after agents. Multiple Living and multiple garaging! Opportunity to secure your break into Campbell! Tree-top views at “Kingston Court”! Looking for a project? A Blank Canvas in the Inner North awaits you! More than a house, a home! Private and quiet at the "Manor"
Superb Location with tree top view! Four bedroom Townhouse in Kingston! Flat block ready to build on! The house with no stairs! Wheel Chair Accessible! Superb Location and Outstanding Family Home! Room for the whole family, including your four legged friends! Ideal first home with entertaining in mind! Looking for a project? A Single level Duplex is ideal to renovate or extent. Truly unique – Canberra’s first apartment complex. Immaculate, Large Entertainer’s Residence – where size does matter! Function and Form – Awaiting your artistic imagination! Light and Spacious home in convenient location. Huge Potential, looking for love! Looking to add to the investment portfolio? Northerly Aspect Paired with its Own Double Garage! A Great Opportunity Awaits The First Home Buyer or Investor. Elevate your life on the 15th Floor! What an Aspect, What a Lifestyle!! Three bedroom house with one bedroom self-contained apartment! Prime opportunity for the renovator or developer. One of Canberra’s finest addresses – the heart of the Inner North. One of Canberra’s finest addresses. Sophistication, style and a sense of community in the heart of the City. Untapped potential, an outstanding opportunity! Spacious living - A little work and you can reap big rewards! Terrific lifestyle backing golf course. Perfect for the tradesman or adventurer! Build your dream home. Future capital growth is assured here! Right time, right place – get in quick! Perfect for the mature family. Here's value for you - what an opportunity to enter the Kingston apartment market! Elevation and stunning views @ The Carrington. Truly unique - Canberra’s first apartment complex. What a location….what a lifestyle! Hackett Gardens, "Refurbish or Rebuild"
Bigger is better in the one bedroom apartment market! Solid brick and ready to sell! Serene, spacious and central - Sound appealing? Spacious, serene and constructed with distinction! What an aspect….what a lifestyle! When value for money and a great rental yield combine! New price and a great buying opportunity! New price! Calling all serious buyers! First home buyers and investors – this is a must! Stylish living in the perfect locale. An urban delight…. calling first home owners or investors! Entry into the Inner North. Great size, great location- Must be sold! Golf course apartment - Perfect for the downsizer!! 3 bedroom home on 730m2 block, what more could the first home buyer want? Open Home cancellend "Under offer"! Close to the city with a beautiful aspect. Convenient, well sized and practical. Three bedrooms and two ensuites, Absolutely stunning! Best priced two bedroom apartment in Phillip! Live in, rent out or keep as a fully furnished short term rental! Unsurpassed quality with a northerly aspect. Starting Out, or Looking to Invest! Create a home with your own style! Inner City living doesn't get much better than this! Enjoy the Cosmopolitan Lifestyle the Inner South has to offer! Are you a first home buyer or maybe interested in an investment? First homebuyers can be in by November 2011. Entry level opportunity to the Inner North. Perfect for entering the market. Golden opportunity for home-based businesses! Immaculate best describes this home! 87/15 Corranderrk Street, City - Glebe Park I have both purchased and sold property in the ACT with Moira as my agent. She has been incredibly helpful and has an incredible eye for detail. She has been totally reliable and honest in her dealings with me. I have no hesitation in recommending her as one of Canberra’s best agents.